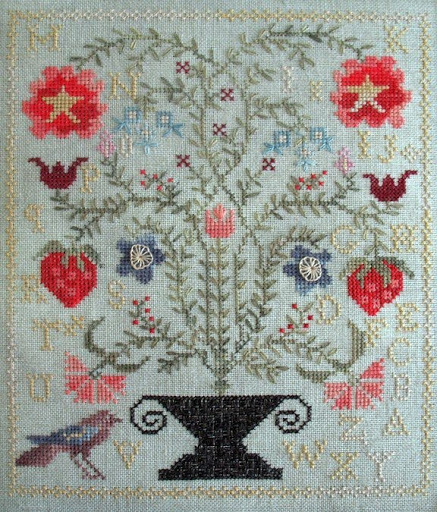 “Strawberry Garden” by Blackbird Designs is mine as of 10/22/09 🙂 With the help of a very kind online acquaintance I was recently able to purchase this beautiful OOP Loose Feathers chart. That my search to secure this design is finally over makes me very happy. If you still have the pattern, would you be willing to share the thread colors? I am trying to re-create this pattern for my sister – she too is in love with it…. Much thanks! It’s beautiful!